Steam Team Thomas Quilt Panel to sew. This panel shows an image of Thomas the Tank Engine on a bright blue background. 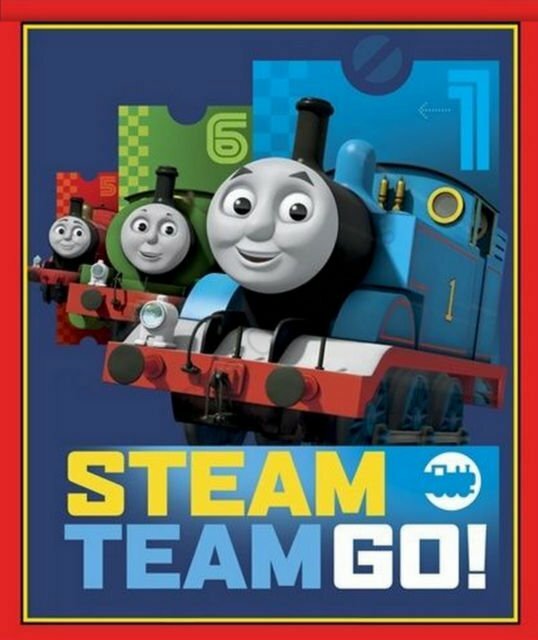 Steam Team Go is printed at the bottom of the panel. Fabric by Quilting Treasures. Cotton Fabric. 35"x44"